If you or a loved one have mental health issues and are accused of a crime, The Criminal Law Team is here to help. We recognize the frustration and sadness that people feel when they have a family member who is charged with a criminal offence who cannot or will not obtain the proper medication and/or counseling to treat their mental illness. We know there are limited resources for persons with mental health issues, and that families often struggle to get their loved ones the help they need. By retaining mental health lawyers with decades of experience handling these issues related to the criminal law, you can feel certain that we will understand how to best represent your family member’s case, and how to tap into the existing services that are available. It is clear to us that persons with mental health issues can lead a happy and productive life. In the past, we have been successful in getting clients with mental health issues released on bail. This will often necessitate the client complying with appropriate bail conditions, one of which will require him or her to take the prescribed medication. As mental health lawyers, we can secure the services of mental health professionals who will focus on long-term strategies aimed at addressing issues such as housing, medication compliance, and life-skills training. As well, given the strong link between addiction and mental illness, we can assist the client in obtaining substance abuse counseling. We are experienced in working with families to prepare a plan for release that provides treatment, counseling and supports geared to the needs of the accused and his family. If the person with a mental illness cannot be managed in the community, we will ensure that he or she is treated fairly at the institution where he or she resides, and we will work with their treatment team towards a plan for his or her eventual reintegration into society. At Toronto’s Criminal Law Team , our goal is to get the mentally ill accused person the help they need, and to avoid them spending time in jail. To accomplish this task, we use the resources available under the Criminal Code and the Mental Health Act, as well as our knowledge of community-based programs, to prepare a plan of release that directly addresses the rehabilitation of the accused person through mental health care. 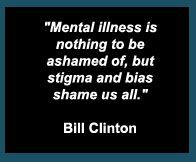 The criminal justice system recognizes that persons with mental illness who are accused of a crime are less morally responsible for their actions, and that treatment for their illness is not only the compassionate thing to do, but is the sensible alternative to jail. At the Criminal Law Team, we have referred numerous clients for psychiatric assessment and treatment, and have presented reports of their progress to the courts, resulting in charges being withdrawn, sentences reduced, and, most important of all, an opportunity for the client and his family to gain a new lease on life. We have also had the satisfaction of working as mental health lawyers in the criminal justice system where the defense of Not Criminally Responsible ( NCR ) has been advanced in order to ultimately have accused persons with serious mental illness charged with crimes of violence housed and treated in a Mental Health facility as opposed to the minimal treatment available in the federal justice penitentiary service. In addition, in appropriate cases, we have been successful in having charges, in which there is a mental health component, withdrawn through the entry and assessment of our clients into the Mental Health Diversion Program. In cases in which the Criminal Law Team has been able to obtain this result, our client has had the benefit of continuing his or her life without the stigma of a criminal record. We welcome the opportunity for you to contact us for a free consultation to discuss what we can do to help. Toronto’s Criminal Law Team has a combined experience of over 60 years specifically in the criminal law. As experienced mental health lawyers, we have defended many clients who suffer from mental health issues and have an over 85% success rate in getting client’s charges dropped, reduced or withdrawn completely. If your family member or friend suffers from a mental illness of any kind, and has been charged with a crime in the Greater Toronto Area, or elsewhere in Ontario, contact us today. We are confident that we can get your loved one the help he or she needs to get better.